Everybody family has a favourite banana bread, but you may want to give this one a try! So moist and delicious, and to seal the deal, it is super easy and quick. If you are in a hurry, just make the recipe into muffins and they will be ready in 20 minutes. Add eggs, vanilla and crushed bananas. Sift together flour, cinnamon, soda and salt. Add to creamed mixture. Mix just until combined. Do not overmix. Sprinkle raw sugar mixed with cinnamon over top. It is not often that we EVER have banana bread left over, but surprisingly enough, we did and I was wondering how to use it up. 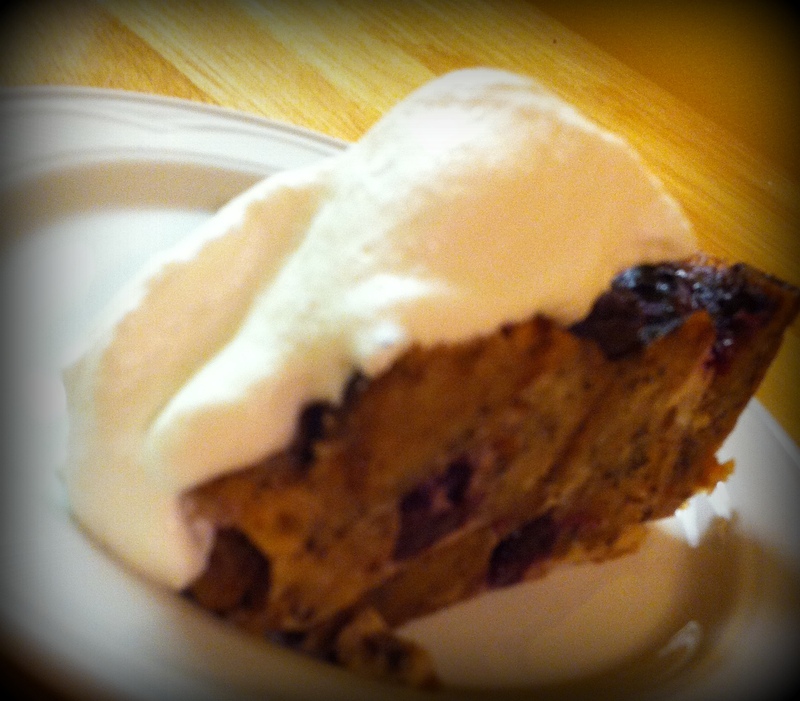 Also have never made bread pudding … and always wanted to. Cube up leftover banana bread, and toast it until slightly crunchy and dried out. 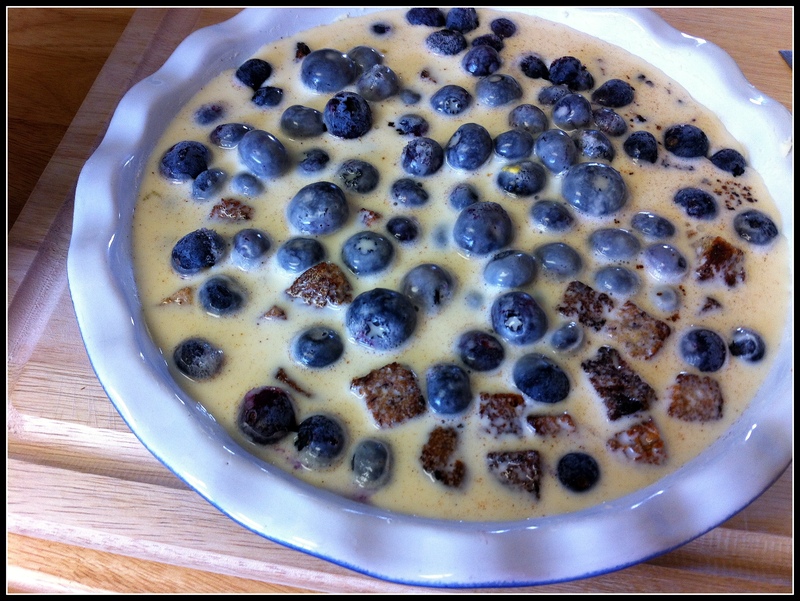 In greased baking dish place the banana bread cubes, top with blueberries (or whatever fruit you have on hand – fresh or frozen) and pour the egg/milk mixture over. It should just cover the bread cubes and fruit. Bake at 350 degrees for between 45-60 minutes. A knife inserted in the middle should come out clean. Serve warm or at room temperature with a dollop of whipped cream. 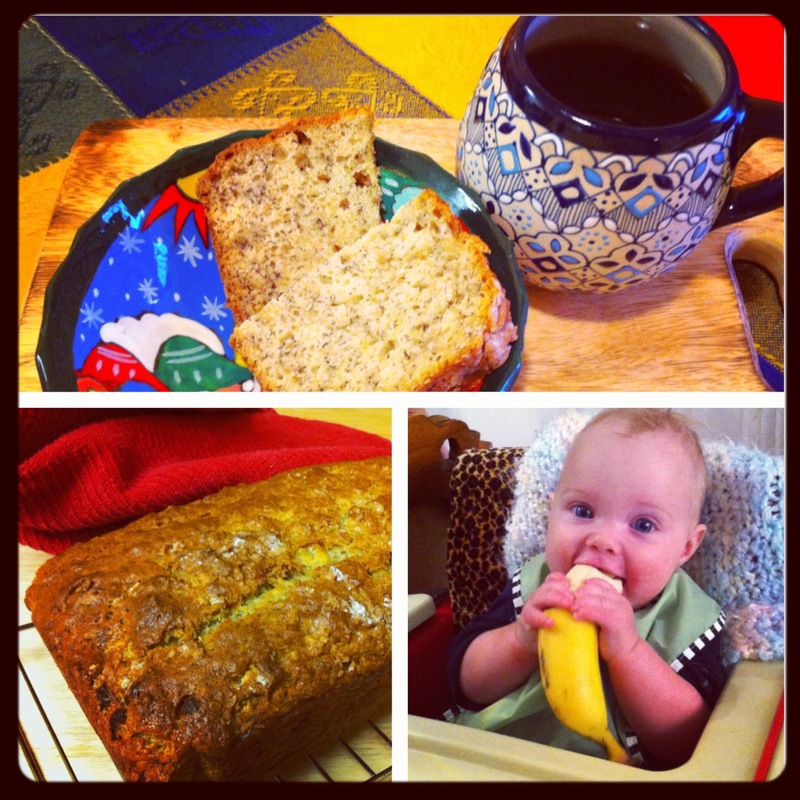 Just in case the little ones around your house leave you enough bananas to work with … make banana loaf! Mash bananas, blend in sugar and add egg. Mix and add milk and butter. Stir banana mixture into dry ingredients, only until just mixed – do not over mix!